Nikoyo (Holdings) Ltd set up in Hong Kong in 1985, is an IT integrated solution and professional service provider with business domains at image capture, electronic content management, data storage backup, application software development, information security, mobile computing, cloud computing and big data. Over the years, Nikoyo (Holdings) Ltd, headquarters in Hong Kong set up subsidiaries including Nikoyo (China) Electronics Systems Company Limited and Nikoyo Electronics Systems (Shenzhen) Company Limited in China, with branches in major cities and software development centers in Hong Kong, Shenzhen, Beijing, Wuhan, and a service network across the country. Nikoyo (Holdings) Ltd has closely partnered with Fujitsu Japan Corp, ever since 1986 and was appointed as the sole distributor of peripheral products in mainland China and Hong Kong. They have been taking part and witnessing major historical moments at the progress of China computer industry development. Fujitsu high-speed scanners, one of her major products, have been distributed by Nikoyo to China market over decades, and taking more than half of the market share. 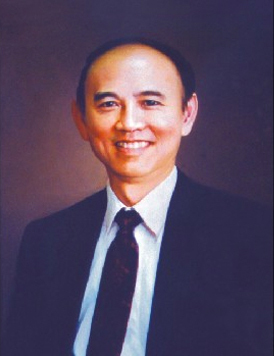 In 1994, Nikoyo and Fujitsu as investors from overseas joined to establish the Nanjing Fujitsu Computer Products Company Limited, a manufacturer of printer production and listed in the National SME Share Transfer System in 2016. Nikoyo has also been distributors of world-renowned hard disk brands such as West Digital, Toshiba, and high-speed laser printers of Ricoh. Nikoyo (Holdings) Ltd has set foot in the storage and systems integration business with foresight and ambition since 1992, introducing the most advanced and state-of-the-art brands in data storage industry around the world to mainland China and Hong Kong: EMC from United States in 1994 (merged into Dell), NetApp from United States in 1996, StorageTek in 1997 (merged into Oracle, and Nikoyo had been awarded as the Global Top Reseller for three consecutive years from 2002 to 2004). Products and technologies from other front-runners in the industry such as HDS, Symantec, Quantum, VMware, Citrix as well as self-service banking system products from Siemens and Hitachi have been introduced into the China market by Nikoyo as well. User orientation has been the operation model of Nikoyo ever since day one of business in motion, taking a Chinese saying that ”Hard Work Makes Great Success͟” as motto, the company has been focusing on core business development and sustainability of corporate growth. The company has introduced the most updated applications at various levels to feed the needs of customers, and transformed her business model from a trading company into an IT professional and integration service provider, so that she is capable to provide total solutions and one-stop service to users. 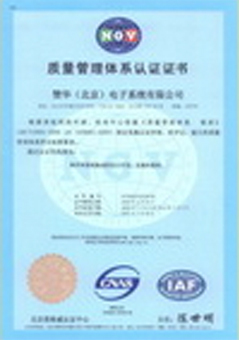 Nikoyo’s professional IT service team, which is well equipped with the most updated knowledge and expertise, has been awarded authorization and accreditation from authorities in the industry and China government, qualified to implement China state-level computer and systems integration projects, providing one-stop total solutions from project preparation, planning, registration, solution design, implementation to after-sales support. Upon its solid technology strength and well understanding of operation flows at different business sectors, Nikoyo steps up its service quality on and on to satisfy customers from the financial, government and other commercial sectors. Strong bonds are built during the process of cooperation. Since 1992, Nikoyo (Holdings) Ltd has been taking part at building up computer centers for major banks in China, such as Industrial and Commercial Bank of China, China Merchants Bank, Bank of Communication, China Everbright Bank, China Construction Bank, etc., providing a wide range of products and services. She is also a computer products and professional service provider to many world-renowned investment banks in Hong Kong. 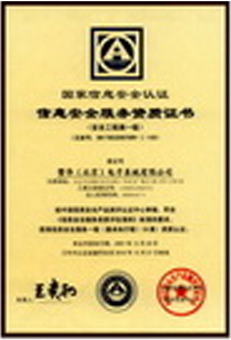 Over the years, Nikoyo (Holdings) Ltd has been taking part at many state-level IT integration projects in China, such as the State Golden Taxation Project, State Golden Shield Project, State Golden Land Project, State Golden Agriculture Project, State Golden Custom Project, Loan of Japanese Yen for State Computer Centre Project, the 4th, 5th and 6th State Census Projects of State Statistical Bureau, and the 2nd Rural Census Project. Upon all these achievements, The 6th Census Project is one of the major milestones. It had been rolled out at the second half of 2010, the company playing the role of project manager and responsible for project implementation, was appointed to design and develop a computer system with high-speed scanners from Fujitsu, storage products from worldwide mainstream manufacturers, data capture and management software for the project, working closely with the State Statistical Bureau and successfully accomplished the task. Nikoyo (Holdings) Ltd has earned the trust and recognition from customers with her belief in “Hard Work Makes Great Success” and ”Service Creates Value”, promising to deliver quality products and services. Information technology has been making great changes and impacts to the business world and people’s life styles. The company will keep on maintaining her practical spirit, making renovation and progress so as to contribute its effort at the growth and development of information technology in China and Hong Kong.